Patients who carry Staph aureus in their nares or on their skin are more likely to develop Staph aureus SSIs. This is true for methicillin-resistant as well as methicillin-sensitive Staph aureus. Kluytmans JA, Mouton JW, Ijzerman EP, Vandenbroucke-Grauls CM, Maat AW, Wagenvoort JH, et al. Nasal carriage of Staphylococcusaureus as a major risk factor for wound infections after cardiac surgery. J Infect Dis. 1995;171:216-9. Huang SS, Platt R. Risk of methicillin Staphylococcusaureus infection after previous infection or colonization. Clinical Infectious Diseases. 2003;36(3):281-5. Rao N, Cannella BA, Crossett LS, Yates AJ, McGough RL, Hamilton CW. Preoperative Screening/Decolonization for Staphylococcus aureus to Prevent Orthopedic Surgical Site Infection. J Arthroplasty 2011. The tremendous increase of both hospital acquired and community acquired MRSA in skin and soft tissue infections requires a change in management of these infections. Cepheid's on-demand Xpert MRSA/SA SSTI test detects the presence of S. aureus (SA) or methicillin-resistant S. aureus (MRSA) in skin and soft tissue infections in less than one hour. 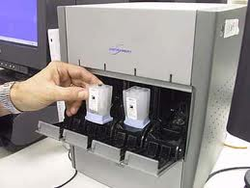 BD MAX StaphSR - BD Diagnostics - The first molecular assay in the U.S. to detect strains of MRSA with the mecC gene. 3M™ Skin and Nasal Antiseptic (Povidone-Iodine Solution 5% w/w (0.5% available iodine) USP) Patient Preoperative Skin Preparation.